The #29DaysStrong health challenge is a movement built to encourage growth in areas where we all have room for improvement. It takes a minimum of 21-days to make a new habit. 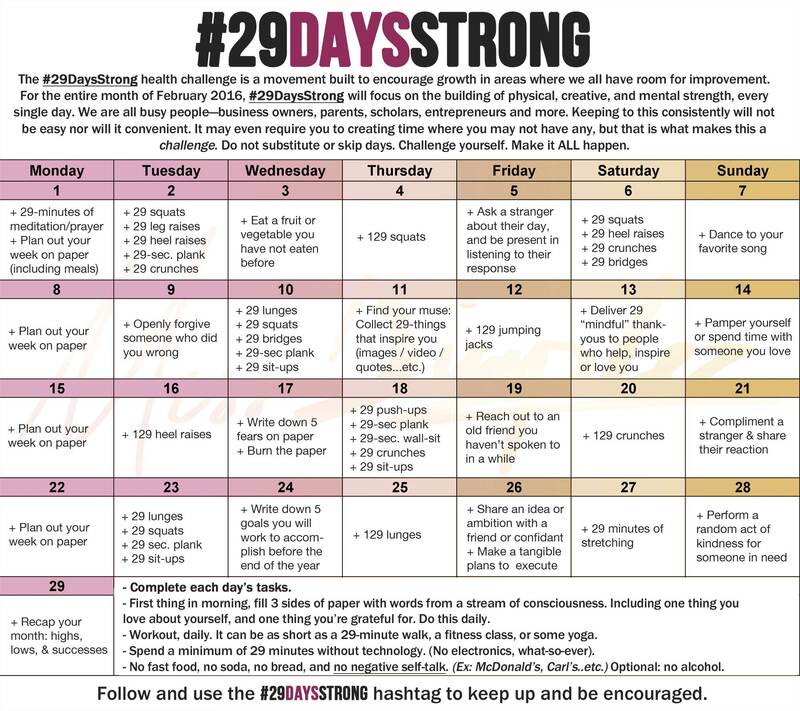 For the entire month of February 2016, a total of 29 days, #29DaysStrong will focus on the building of physical, creative, and mental strength of participating individuals, every day. Taking you beyond what is needed to make the good habit stick, while building mindfulness and strength where it matters. We are all busy people: business owners, parents, scholars, entrepreneurs and more. Keeping to this challenge consistently will not be easy nor will it be convenient. It may even require you to creating time where you already do not have any, but that is what makes this a challenge. Do not substitute or skip days. Challenge yourself. Make it ALL happen. For the entire month: Please avoid all fast foods, soda, bread, and negative self-talk. Optional: no alcohol. – Start your day with “Morning Pages”. First thing in the morning, grab a notebook and fill 3 sides of paper with words from a stream of consciousness. Be sure to include one thing you love about yourself, and one thing you’re grateful for. Share the contents of your pages with no one. – Spend a minimum of 29 minutes without technology. Disconnect from your electronics, at least once a day. – Complete each day’s tasks on the corresponding calendar. Get the calendar here: the image or list pdf. 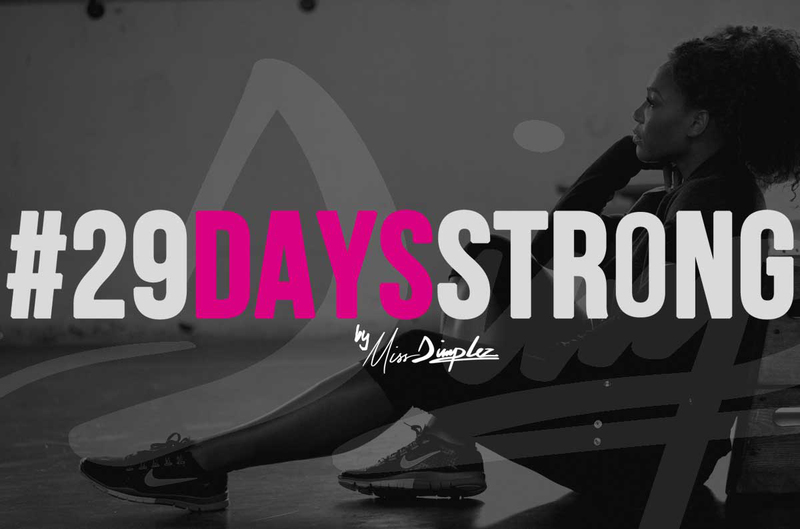 Follow and use the #29DaysStrong hashtag to keep up and be encouraged.